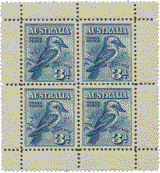 The 1991 Sydney and Perth Across Town parcel labels were an experimental issue used for in-town only parcel post. Box Link Labels, issued in 1992, were used between post office box holder to post office box holder in inner city Melbourne and Sydney. Both systems were short lived.